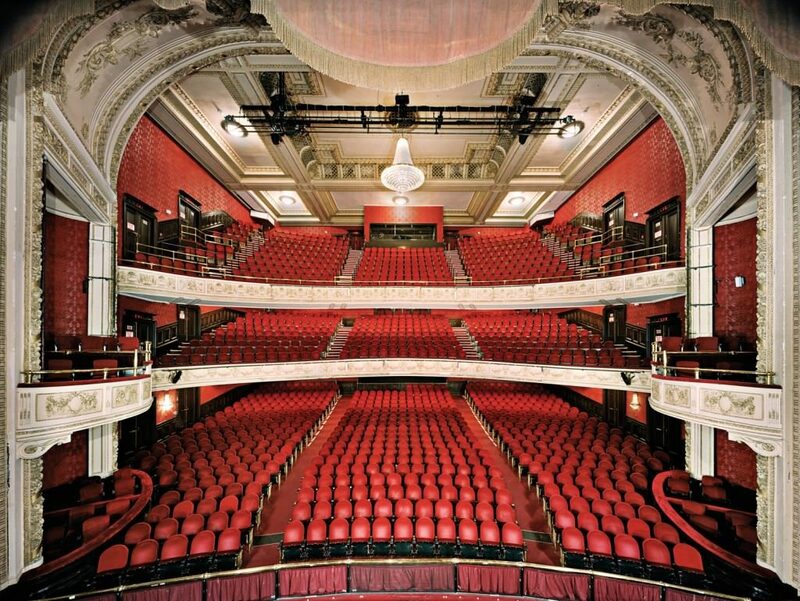 A 1,497-seat, beaux-arts style, proscenium-stage theatre, with two balcony levels, built in the style typical of 19th century British theatres. Construction began in 1905 and was completed in 1907. Since 1963 it has been owned by Ed Mirvish Enterprises, a company established by Toronto department store owner Edwin Mirvish. Since 1986, the theatre has been managed and operated by Mirvish Productions, the theatre production company headed by Ed’s son, David Mirvish. 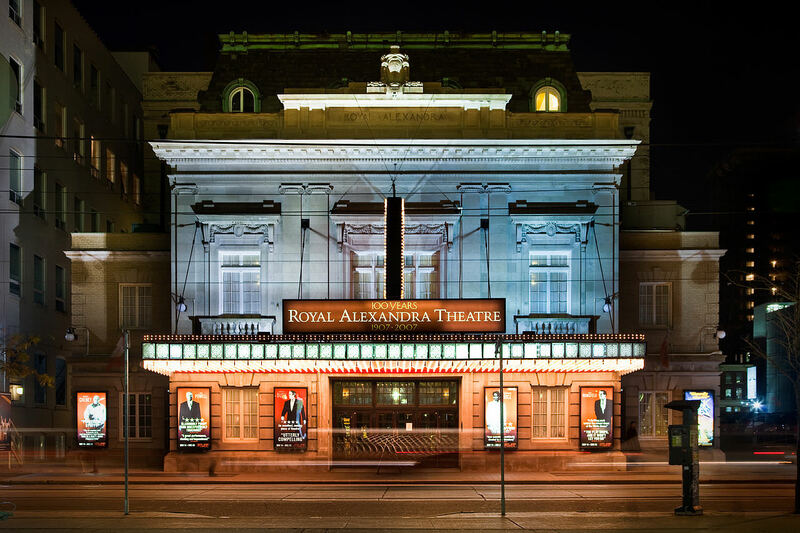 The theatre, commonly known as the “Royal Alex”, “the Alex” or “the R.A.T.” is named for Queen Alexandra, a Danish princess and the wife of King Edward VII, great-grandmother to the current Queen of Canada, Elizabeth II. The theatre received letters patent from Edward VII entitling it to the royal designation. Its present owners believe that it is the only remaining legally “royal theatre” in North America. At the time of its opening, the Royal Alex was in an upscale neighbourhood. The mansion of Ontario’s lieutenant-governor was nearby, the Ontario legislative buildings had been there until 1893, the upper-class St. Andrew’s Presbyterian Church and the Princess Theatre, Toronto’s finest “first-class” showplace. The theatre was built on what had previously been the athletic field of the exclusive boys’ school Upper Canada College near the corner of King and Simcoe streets. This intersection was then known as “the crossroads of Education, Legislation, Salvation and Damnation” – “Education” for Upper Canada College; “Legislation” for the parliament buildings; “Salvation” for St. Andrew’s; and “Damnation” for a tavern, popular with actors from the Princess Theatre, that then stood on the northeast corner of the crossroads.